Now that ID@Xbox seems to be in the full swing of things, it's almost challenging to even keep up with every game that is hitting the marketplace. With all of the different choices, it can be hard to decide on which game to choose next, but Defiant Development's Hand of Fate is truly one that sticks out from the crowd. This is a game that sinks its hooks from the very first moment and doesn't let go. In many ways, it's one of the better games to hit the Xbox One to date. Hand of Fate is quite literally a card game that comes to life. Utilizing roguelike action/RPG elements, the game continues to evolve as you play and never proceeds in the same way twice. Playing as a nameless and silent character, you battle against a mysterious man known only as "The Dealer" and make your way through several levels en route to the final showdown. Each level is distinctly different from the next, however, as there are several variables at play. The game proceeds by following along a route of hidden cards that each contain an Encounter. These Encounters can range from battles with enemies, to shops that have extra resources to purchase with Gold, and other scenarios. With most Encounters, the player sees the world brought to life as it transforms into a third-person action game. Several sections of cards make up each segment of the game, and you can only proceed to the next area by discovering which card has an exit route. Eventually you'll encounter the boss fight of each level, and successfully defeating the boss will allow you to move on in the game. After the tutorial section, deck building becomes a key part of the gameplay. Players are rewarded with tokens for completing certain Encounters and defeating bosses, which then unlock new cards that fill out your Equipment and Encounter decks. While starting out with only base equipment like light armor and standard shields, new cards unlock weapons and shields with special abilities and other pieces of equipment like helmets, gloves, and rings. Meanwhile new Encounter cards allow the player to arrange their decks in a way that will be more beneficial during each level. Though only some of the Encounter cards have a chance of showing up, as The Dealer also provides Encounter cards to ensure that the player cannot simply make the game a cakewalk. As you proceed further into the game, levels become longer and the size of the decks increases. 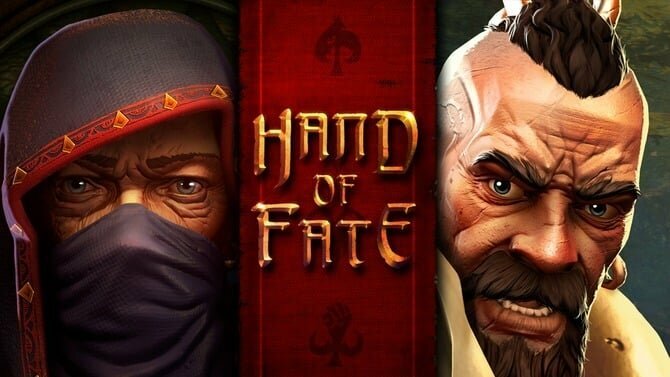 This is what really makes Hand of Fate become even more engrossing. Making decisions on which special types of equipment you want a chance at obtaining, and what types of Encounters you want to face, can ultimately end up either aiding or hindering you during the level. The Dealer also begins to place curses on the player, which makes progress while moving along cards or while in battle more difficult. However, the player can also come upon blessings that will give aid instead. These variables are another example of how the game continually balances itself out. This system of checks and balances is instituted in every major aspect of how the game works. While tokens grant the player more favorable options for the future, the Encounter cards dealt by The Dealer also become more challenging as the game continues. At the end of each row of levels, the player is dealt bonuses to carry on to the next level. This usually includes an upgrade from light armor to medium armor, extra additional pieces, blessings, and other bonuses. However, the completion of a row also increases the strength of enemies and gives them new abilities. All the while the Encounters are continually changing, and the sequence you face them in changes as well, making it impossible to predict what obstacles you'll face in each new level. 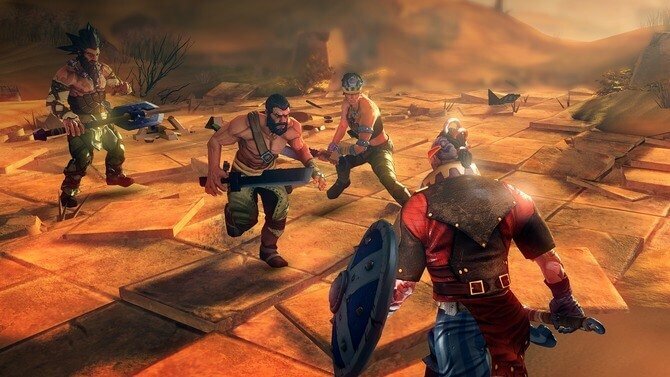 Hand of Fate's combat system will be very familiar to those who have played games like Assassin's Creed, or the Batman: Arkham series. Face buttons control the player's attack, dodge, block, and repel motions, while the bumpers control weapon and special abilities. Icons pop up over the heads of enemies when they are about to attack, and indicate when you should dodge and counterattack. It's a fairly simple system, but works fluidly and feels really good. There are only four distinct classes of enemies in the game - "Dust" bandits, "Skulls" skeletons, "Plague" rats, and "Scales" lizards, which leaves a bit to be desired. However, more powerful versions of these foes do pop up, and the Jack, Queen, and King bosses are based on each class. Special unlockable encounters offer up other enemies like Minotaurs and Golems, and completing these encounters opens up these enemies to appear in other standard encounters in the future, which is a nice touch for expansion. Later on, combat Encounters begin to see much larger amounts of enemies to fight. While this is beneficial in terms of amping up the difficulty, it also causes some issues for the game's frame rate. It tends to only occur when the battle is being set up, but it is very noticeable that the game seems to struggle to place enemies when there is a larger demand for it. Occasionally the game also seems to lag when outside of combat, but fortunately it is not a big enough problem to cause an issue whether in combat or not. Speaking of amping up the difficulty, Hand of Fate surely does so, especially during the last row of levels. It is here that the player is hit with some of the nastiest curse cards in the game, which makes the path of proceeding to the next boss that much harder. In one scenario, I was hit with a condition that upon reaching each new section of cards, a new curse card would be dealt onto me and no new blessing cards could be obtained. Meanwhile, the game's final boss battle proved to be a grueling feat that took several hours and attempts to finally beat. It was a very frustrating, but very fulfilling accomplishment to say the least. 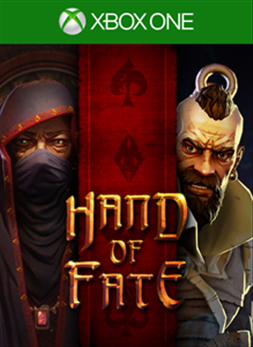 Hand of Fate should not be described as an achievement hunter's dream. Not many of the game's achievements are story related, and instead will require some dedicated time to unlock. 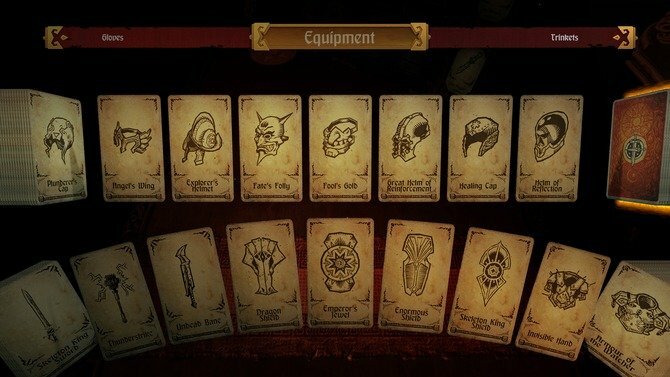 The Well Equipped and Well Travelled achievements, for instance, require collecting all of the game's Equipment and Encounter cards. After playing through the Story mode, I only ended up with about half of each, which means that playing through the game's Endless mode will probably be a necessity. Beating the game itself still seems to be quite the challenge, as only 17 gamers of the 818 who have started the game have unlocked Dungeon Master. Be prepared for a long haul here, although fortunately Hand of Fate is absolutely worth spending the time on. However, it should be noted that users have reported that the Juggernaut achievement is currently unobtainable due to a glitch. Hand of Fate is a shining example of what ID@Xbox can bring to the console. The game's ability to provide the same gameplay over and over again, while still making every encounter feel fresh and challenging, is what makes the experience completely addictive. I was so sucked into the game that I literally got off my couch and sat cross-legged in front of the TV so that I could concentrate more. For those who thrash through the game's Story mode, the never-ending Endless mode provides an extra challenge to see just how far you can go. I have a distinct feeling that this game will remain installed on many consoles for a long time. 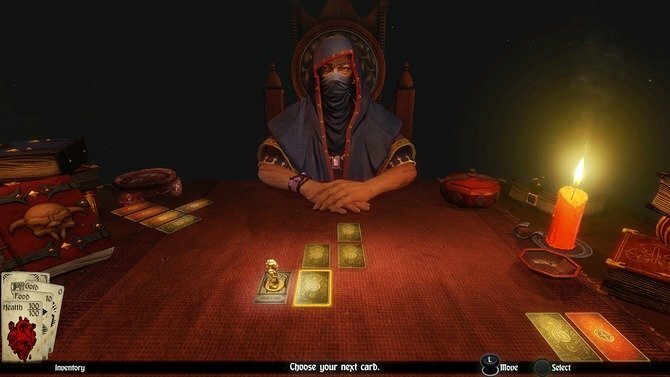 The reviewer spent over 14 hours playing through Hand of Fate's Story mode, and another hour playing Endless mode. Along the way, 12 of the game's 33 achievements were unlocked. A digital copy of the game was provided by the developer for the purpose of this review.